Mr. Ntshona (right) and John Kani shared a 1975 Tony for their performances in two antiapartheid dramas. NEW YORK — Winston Ntshona, a renowned black South African actor whose performances on Broadway in two short antiapartheid dramas earned him a Tony Award in 1975 with his costar, John Kani, but led to their imprisonment the next year, died Thursday in New Brighton, a township near Port Elizabeth, South Africa. He was 76. Mr. Ntshona’s theatrical career was inextricably connected to Kani’s. Both were factory workers in the mid-1960s when they joined the Serpent Players, a mixed-race troupe that white playwright Athol Fugard had helped form. South African blacks could not be employed as “artists” at the time, so Mr. Ntshona and Kani were classified as servants to Fugard in the identification passbooks that blacks were required to carry. Ntshona (pronounced “in-SHO-na”), Kani, and Fugard collaborated in the early 1970s on the plays “Sizwe Banzi Is Dead” and “The Island.” (Fugard directed both.) Mr. Ntshona played the title role in “Sizwe Banzi,” a man so desperate for work that he takes the identity of a dead man whose passbook he finds. They performed those roles in London, on Broadway, and around the United States and South Africa over 30 years, beginning when apartheid was the official government policy and continuing well after its dissolution, as they reinterpreted the parts and built their stage chemistry. In “The Island,” an explicit criticism of conditions at Robben Island, where Nelson Mandela was incarcerated for 27 years, Winston (played by Mr. Ntshona) rebukes his cellmate John (Kani) when John’s sentence is reduced to 90 days. Allowed to tour, Mr. Ntshona and Kani performed the plays in repertory on Broadway from 1974-75. When the two men shared the 1975 Tony Award for best actor in a play — defeating five others, including Henry Fonda and Ben Gazzara — they did not waste time on speeches. “Thank you very much,” Mr. Ntshona said, to which Kani added, “Thanks,” before they left the stage of the Winter Garden Theater. 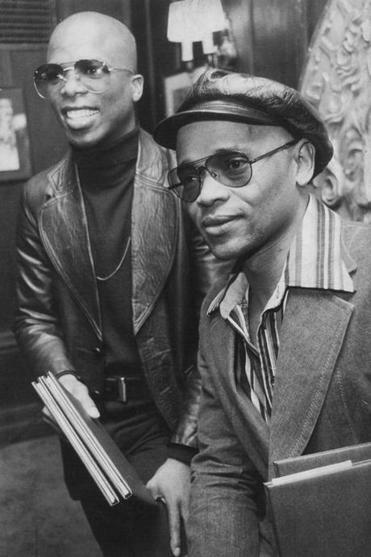 But in 1976, when they were touring South Africa with the two plays, they were arrested and imprisoned for about three weeks after a performance of “Sizwe Banzi” in Butterworth, a town in the South African bantustan of Transkei, one of the nominally independent “homelands” for blacks created by the apartheid government. News reports at the time said that they had angered Transkei officials with improvised political commentary. In addition to his stage work, Mr. Ntshona appeared in the films “The Wild Geese” (1978), “Marigolds in August” (1980), and “A Dry White Season” (1989), among others. He had a small role in a 2008 episode of “The No. 1 Ladies Detective Agency,” an HBO series. “Marigolds” reunited him with Kani and Fugard, who wrote the screenplay. In the film, Mr. Ntshona plays a gardener in South Africa whose threats of violence against a man looking for work (Kani) are averted by a chance meeting with Fugard’s saintly character. In addition to his son, Lawula, Mr. Ntshona leaves his wife, Vuyelwa.